As an inclusive regional intergovernmental forum, APFSD 2017 will engage member States, United Nations and other institutions, and major groups and other stakeholders in dialogue on (1) Regional perspectives on the implementation, follow-up and review of the 2030 Agenda for Sustainable Development, including in depth review of the theme and SDGs: 1, 2, 3, 5, 9 and 14 and 17, the cluster of goals to be discussed by the High-level political forum on sustainable development (HLPF) in 2017; and (2) Strengthening implementation of the 2030 Agenda for Sustainable Development in the Asia-Pacific, including the consideration of a draft regional road map for implementing the 2030 Agenda in Asia and the Pacific, with a view to strengthening implementation efforts. The proceedings of the Forum will be broadcast live through the ESCAP YouTube channel. The event will be preceded by a civil society forum, a youth forum, capacity building workshop for countries submitting Voluntary National Reports to the HLPF, and other events. 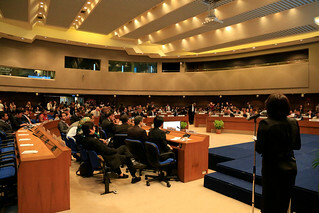 Documentation for the Fourth Session of the Asia-Pacific Forum on Sustinable Development is available from its official documents page. Registration to participate in the in-depth review of the cluster of goals during APFSD4.